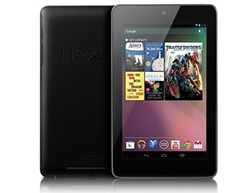 Stop holding your Nexus 7 in your hands like a chump and check this out. 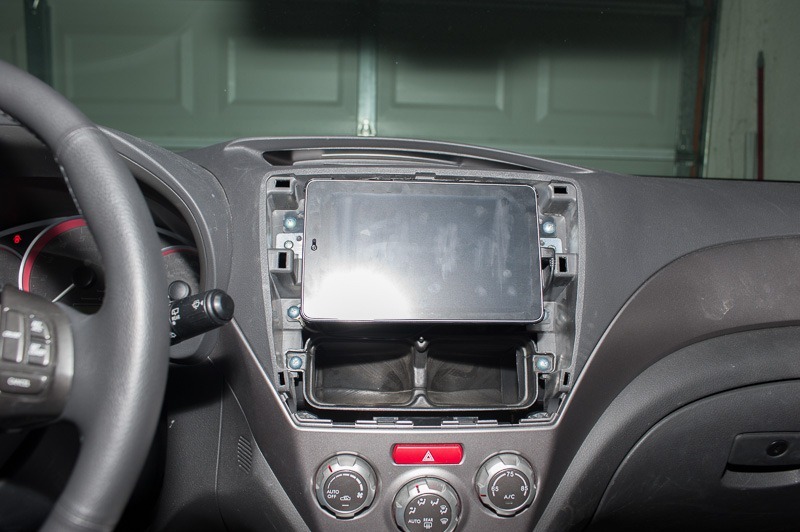 These industrious modders have built and installed complete Nexus 7 mounting systems in a Subaru STi and Toyota Celica. The Toyota owner even created a launcher skin to go with the mod. The skin, of course, is based on Knight Rider (seen below). The modder with the Toyota used Nova Launcher, UCCW, and Simple Text to build a simple Knight Rider UI that gives access to the most commonly used functions. Having something like this in your dash is probably not the safest thing, so cutting down on distraction is a good call. The software makes this mod truly useful, though. The creator set up Tasker to keep the screen on when the car is running, and put it to sleep immediately when it's not. 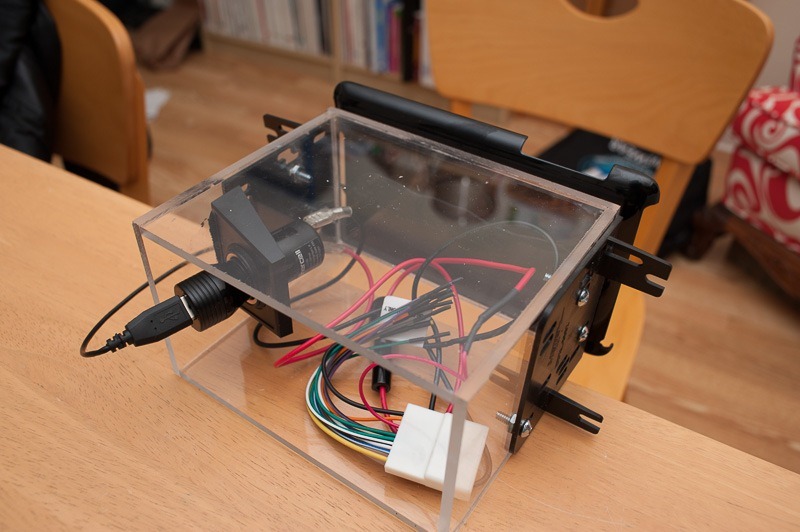 Update: The modder posted a detailed walkthrough of his installation here. The heart of the Subaru mounting system consists of a custom-built acrylic box holding the tablet in the right position to match up with the Subaru DIN AV panel. 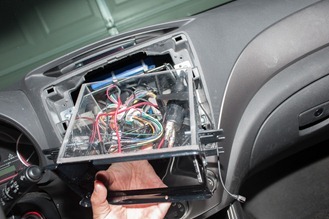 This also makes a nice housing for the power cabling that ties the device into the car. 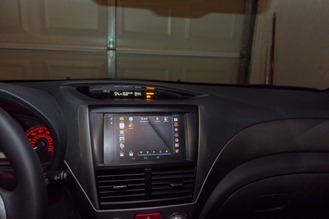 Audio is carried into the car's existing system via a Bluetooth dongle tucked up inside the dash. Slap on an anti-glare screen protector, and you're ready to actually use it outdoors. The Subaru mod doesn't include any fancy software stuff at this point, but it's probably a little more streamlined right now. Still, both the resulting mounts look killer.